In today’s world of constant distractions, most business owners struggle to get their marketing messages heard. Authority Content proves a simple process that any company can use to break through the noise. It doesn’t matter whether you’re the owner of a retail shop, financial advisor, swimming pool manufacturer or inventor with an ingenious product – this powerful strategy will work for you. Built on the “3Ps” framework (Present, Product, Promote) this book teaches you a step-by-step system for building authority within your industry thus sky-rocketing website traffic and sales. Below, you’ll find a variety of excerpts and snippets from the book. Depending on where you are in your journey, you may want to skip ahead! However, for the full experience, we always advise you to digest each chapter one by one. 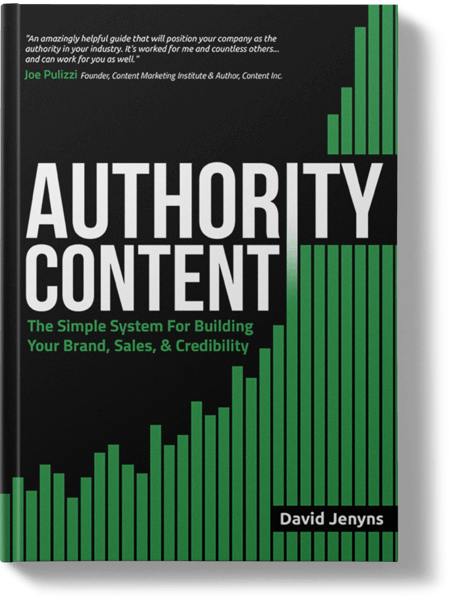 If you prefer to purchase a hard copy of Authority Content – go to Amazon by clicking here. Chapter 10: Is Your Website Usable?